The state envisions a blockchain network that lets firms incorporating in Delaware automate business processes and will allow regulators and investors to track stocks and assets in real time. More than half of all U.S. publicly-traded companies – and two-thirds of Fortune 500 firms – are incorporated in Delaware because of its business-friendly laws and well-established corporate legal precedence. The state, which doesn't have a sales tax, gets nearly one-third of its revenue from franchise taxes on more than a million corporate entities, accounting for $1.3 billion of its $4.2 billion general coffer. Making incorporating in the state more attractive is seen as a money maker and competitive advantage against other states. To that end, Delaware in October plans to launch a proof-of-concept for a blockchain-based business filing system that will allow corporations to take advantage of smart contract technology to automatically track stocks and collateral assets in real time; being able to do so will give lenders and borrowers a more efficient and accurate record with which to transact business and meet state and federal regulations. "There are so many things that could potentially add value and we just want to dive into it a bit deeper and get a better understanding of how it would actually work in a real demo and then potentially take steps forward," said Kris Knight, Delaware's deputy secretary of state. Delaware recently awarded a $738,000 contract to IBM to design the electronic distributed ledger, which will be based on the Hyperledger Fabric blockchain framework. The ledger will be less about registering businesses with the state and more about business lifecycle management, according to Mark Fisk, public service blockchain leader for IBM. Registered corporate agents and law firms regularly interact with state officials to conform with uniform commercial code (UCC), which requires companies to pre-register all assets with a state. Preregistering sets up not only who will have first dibs on those assets in case of bankruptcy, but it enables a lender to know what a business has as collateral against a loan. Today, UCC filings are done manually. 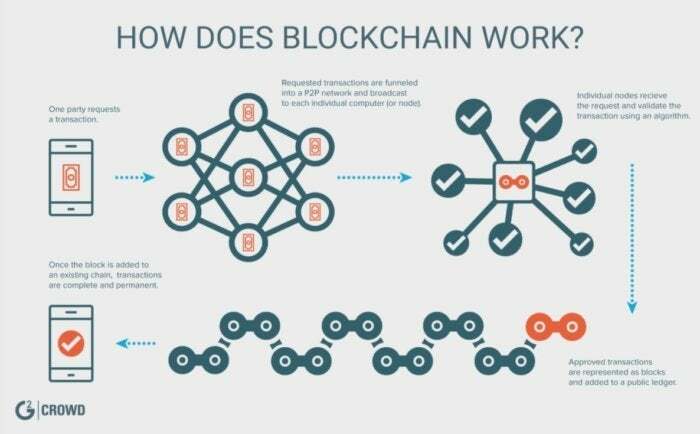 A private or "permissioned" blockchain ledger would enable businesses to use smart contracts, a business automation tool that runs against pre-determined business rules. 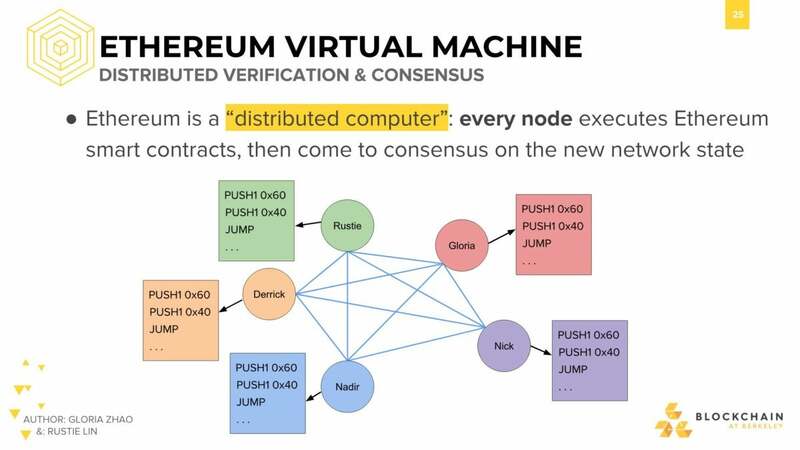 A graphic describing Ethereum blockchain. So, for example, companies could define which government entities or business partners have access to specific corporate data, such as collateral assets. A business seeking a loan might authorize a bank to see the company's real-time asset ledger to determine its collateral. "So, it's a combo of the immutable ledger and selective data sharing plus the removal of pain points in the network and the ability to have smart contracts to support UCC amendments, so I can reduce time wasted, errors and manual steps in the process," Fisk said. Delaware will also test a new distributed stock ledger, which will also update in real time. When a public company incorporates, it must declare the number of authorized shares it claims. Young companies, in particular, often grapple with not only tracking the number of shares they have but their daily value. "On a daily basis, one thing we've noticed across many organizations consistently is the problem over issuing shares," Knight said. "There are often issues determining their value because of mismanagement of shares or organizations not truly understanding where things stand. "For us to be able to provide them with an application that will help them more easily manage that process and have it run through the department of state, which ensures only the certified, authorized shares are the numbers they're working from, really has the potential to provide a huge benefit for organizations," he added. "As an investor, I'm assured that everything the company is presenting to me, cap tables, etc., is accurate and reliable." A reliable stock ledger also ensures accurate shareholder ownership for voting purposes, as well as dividend and distribution payments. Blockchain ledgers are a write-once, append-many technology that ensures data entries cannot be modified, only added to. That makes them an immutable record not only for accounting purposes but also for regulatory compliance. Data on a blockchain can be encrypted via a hash table, so that only users with the proper public keys can see sensitive corporate data. The state's journey toward using distributed ledger technology (DLT) began two years ago when then Gov. Jack Markell launched the The Delaware Blockchain Initiative. Last year, the state legislature passed amendments to the Delaware General Corporation Law to allow all companies that incorporate in Delaware to use a blockchain to manage corporate governance and a stock ledger. Delaware is among only a handful of states currently moving forward with blockchain initiatives. 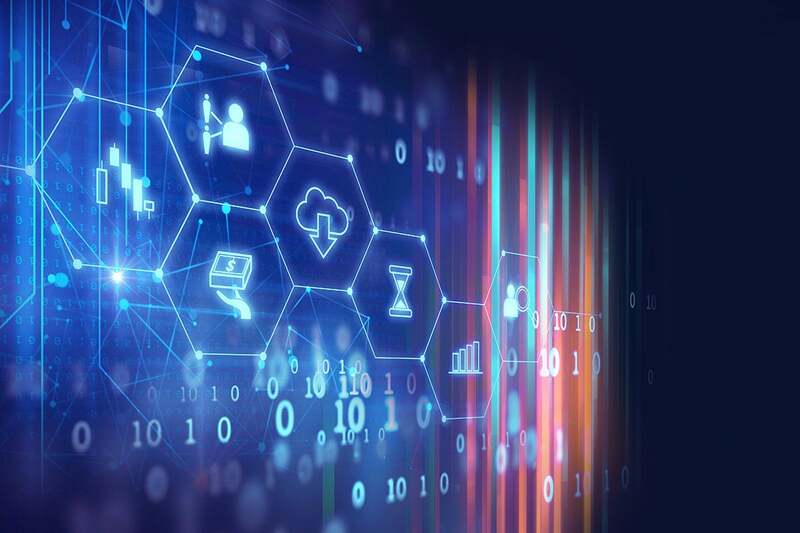 The state of Arkansas recently held a blockchain summit where it launched an initiative to use blockchain to set up a food safety supply chain, enabling shipments to be tracked in real time. The food chain tracker is currently being tested by 10 of the world's largest companies, including Walmart and Nestlé SA. "Blockchain for us is solving the complexity of many-to-many relationships. The idea that a supplier can get in and then share that information with whomever they want to is really powerful, and suppliers are really interested in that," said Frank Yiannas, Walmart's vice president in charge of food safety. The Food Trust proof of concept is also being designed and run by IBM, and will be able to track tens of thousands of food shipments in real time, enabling farmers, shippers and receivers to know where fruits and vegetables are at any given point in their journey. "Blockchain is a first-generation technology that has the potential to improve the delivery of goods and services in a full range of industries, especially the food industry," Arkansas Gov. Asa Hutchinson said in a speech. "Arkansas has an opportunity to be a leader in the application of blockchain technology by beginning an important conversation about aligning food-safety efforts throughout the state." This story, "Delaware to test blockchain-based business filing system" was originally published by Computerworld.